January 30, 2013, I posted a blog about my friend Ralph Miller. I haven't seen Ralph in a few years, but he's always with me, right there in the back of my consciousness, where I couldn't forget him if I tried, but to be honest with you, I'm not going to try. Ralph is on the email list for my blogs. I post an average of three times a week, and it's seldom that Ralph acknowledges one of them, unless I make a mistake or need further education on on the subject of the post. Regarding my last post, Between The Bells, Ralph furthered my education by sending a couple of versions of The Three Bells that I had not heard or even suspected existed. The Roy Orbison version is good, however, Ray Charles took the song to a level that I could never have imagined had I not heard it. Once again, I owe my buddy, Ralph, which is a debt I can live with. 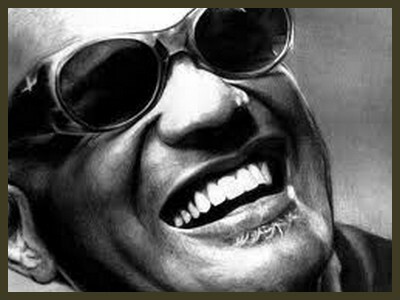 And now, take four minutes and experience once again the wizardry of Ray Charles.